According to an email from Vince Beltrami’s campaign this afternoon, his campaign has released their first TV spot. It is a typical political ad of the humanize/inoculate variety intended to make the candidate a warm personality rather than a distant political character. Given how nasty this race already is and how much nastier it is likely to get, it isn’t surprising Beltrami is using this as his first spot. We’d also expect to see a similar ad from his opponent Sen. Cathy Giessel soon. 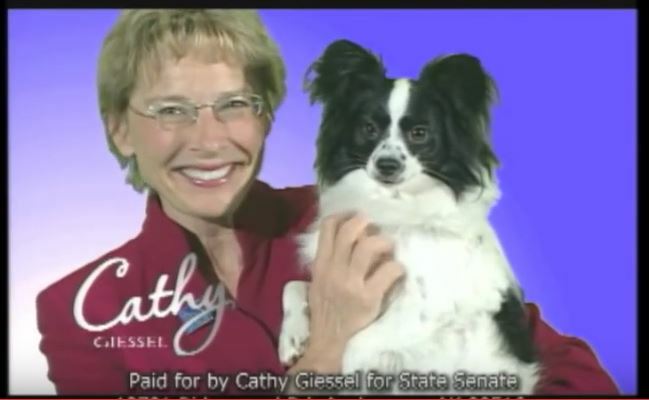 In fact, Beltrami’s ad reminds us of an ad Giessel ran in her first campaign in 2010. Well, except that Giessel chose a puppy rather than a kiddo as a political prop. At least Beltrami came up with an original script, or at least one we haven’t seen before. It would appear Giessel lifted her ad lock, stock, and barrel from Micheal Steele. Be the first to comment on "Don’t Hate Me TV Ad Game Begins"